To be treated with respect, dignity and equality. To learn or to teach, or to do their job. Your education should help you to use and develop your talents and abilities. It should also help you learn to live peacefully, protect the environment and respect other people. A rights-respecting school not only teaches about children’s rights but also models rights and respect in all its relationships: between teachers/adults and pupils, between adults and between pupils. All staff are encouraged to use praise and re-inforcement of whole school and class charters to help pupils achieve their best work and respect the rights of everyone. Our Respectful Relationships and Behaviour Policy is designed to acknowledge and reward pupils’ good work and behavior that respects the rights of everyone. Praise and rewards are both important influences in motivating pupils and building self-esteem. Whilst emphasising behavior that respects the rights of everyone, we also lay out sanctions. Children know and understand behavior that respects the rights of everyone in our school and are encouraged to choose behavior that will help everyone around them. All staff understand the school’s core belief about behavior. Positive out of class behavior is promoted by agreed routines and clear systems. School assemblies are used to develop children’s social, emotional and behavioural skills. Positive behaviours in playgrounds and dining hall is noted and celebrated. Parents/Carers are aware of and contribute to the school’s positive behavior ethos. There are clear, consistently used systems for dealing with inappropriate behavior. There are opportunities for staff to discuss and contribute to the development of systems underpinning positive behavior. Adults model controlled, respectful and non-verbal behaviours. Teaching routinely incorporates activities designed to promote children’s social and emotional development. Appropriate behaviors are taught and reinforced on a regular basis. Children are taught the language of sharing and co-operation, choice and consequences. Children are encouraged to identify their own and others strengths to recognise and value the diversity within their classrooms. There are clear classroom routines to reduce uncertainty and promote a peaceful and purposeful environment. Each class has a charter, devised through discussion with children, which promote social and learning behaviours. Class charters are displayed prominently. Appropriate behavior is quickly noted and genuinely celebrated by staff and peers. There are clear systems, understood by all, for dealing with inappropriate behavior. All children’s strengths are recognized and celebrated by staff. Systems are in place for noticing and drawing attention to good or improved behavior. Where a child experiences difficulties in developing or sustaining appropriate behavior there are systems which give additional support and attention. We have the right to an education. We will always try our best. We have the right to be respected. We will respect ourselves and others. We have the right to be protected. We will be gentle towards everyone. We have the right to be heard. We will listen to others. We have the right to share our views. We will be kind and truthful. Article 31 of the UNCRC. Article 24 of the UNCRC. Try to eat all of your food. Be respectful to everyone in the dining hall. Walk calmly in the dining hall. We should join in group tasks. We should listen carefully to everyone. We should try to include everyone. We should make everyone feel safe. Stickers, stampers and written comments. Certificates and letters home to parents. Children can earn house points for displaying rights respecting behaviours. This helps to promote positive relationships across all year groups. Children will be awarded Weekly Solar System Superstar Awards for good work and displaying rights respecting behaviours. Children will also be given on the spot house point awards for displaying rights respecting behaviours in the playground and dinner hall. The winning house for each term will receive a reward for their house in school. The nature of the reward will be decided by the members of the winning house. At the end of the school year the points from the previous terms will be added together and the house with the most points overall will win the House Cup and receive a special prize. Each classroom uses a highly visual display area to enable staff to promote positive behaviour through traffic lights. Verbal or non-verbal warning- child is made aware of what rule has been broken and noted by teacher. Verbal and visual warning – change of traffic light to amber. Verbal and visual warning- change of traffic light to red. This will result in the child engaging in 5 minutes of reflection time during weekly Golden Time. A child can have a visual warning removed by doing the opposite of what they have done e.g. if they were unkind they would be expected to do an act of kindness, therefore the positive action is being rewarded. Every child will begin each new day with a green traffic light. Engaging in behaviour that is compromising good order and discipline within the school setting or under the supervision of school staff e.g. on a trip. Attempts to run away from school. Should physical intervention be necessary the school will contact the parents/carers to explain the incident. The child and the adult involved will also discuss the incident when things are calm. This policy will be communicated to parents periodically through school newsletters and the distribution of leaflets to ensure that pupils and parents are continuously aware of their individual responsibilities. Other Agencies have responsibility of supporting the school, individual children and/or families in addressing the needs of victims and/or perpetrators in relation to the impact of their misconduct. Good is Our School’. Staff, pupils and parents participate in this evaluation process. This will identify strengths and areas for further development. The Headteacher will have responsibility for ensuring that staff members are aware of courses supporting the promotion of positive behaviour. Staff development on positive behaviour, equalities, including race equality will be undertaken by all staff annually as a whole school programme to update on developments and refresh ideas and practice. The Respectful Relationships and Behaviour Policy will be reviewed as part of the School Improvement Self-Evaluation in September 2016. Ravenswood Primary is a Rights Respecting School which means that everyone puts the rights of the child at the heart of our school. All staff are encouraged to model rights and respect in all its relationships: between teachers/adults and pupils, between adults and between pupils. 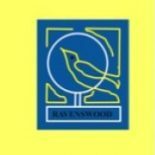 Ravenswood Primary operate a Respectful Relationships and Behaviour Policy with which the children are very familiar. They know and understand the behavior which is acceptable in all areas of the school and are encouraged to adherer to the Whole School Charter and choose behavior which will help respect the rights of everyone around them. School rules are negotiated with the Rights Team and school staff. These are displayed around school and in every class.